Food pic Friday: Random photos of food or drinks I make or put together at home because for some reason I can’t eat out all the time. I’m longing for more sun or less rain, either one will do. This is not a surprising statement coming from a Portlander this time of year. So my food pic this week reminds me of summer so it seems fitting to put it up given my desire for warmer weather. I can eat this way any time of the year but it’s a summer favorite so here it is. I can stroll through Trader Joe’s or a nice deli (Pasta Works in this instance) and pick up a variety of foods and call it a meal. 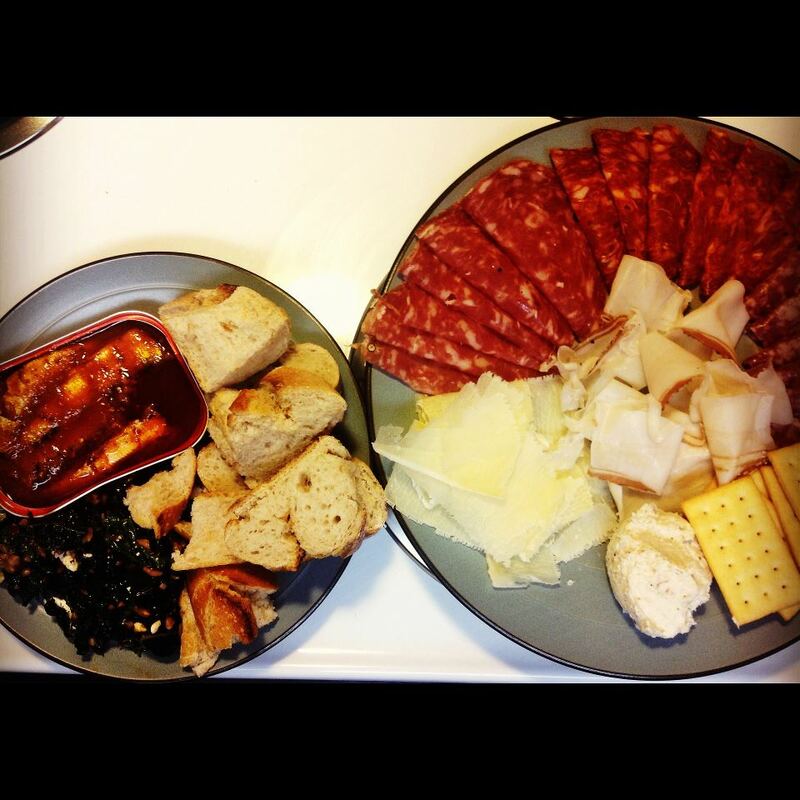 Pictured above and below include the following: cured meats (both Italian and Spanish from TJ’s), cheese (TJ’s vintage reserve cheddar is bomb), crackers (TJ’s), bread, fruit, imported sardines, white fish spread, lardo and salad. I also love marcona almonds but it never made the photo. Very filling and easy. Ahhhh is it summer yet???? This is my first installment of things to try or buy when you are out shopping for food. 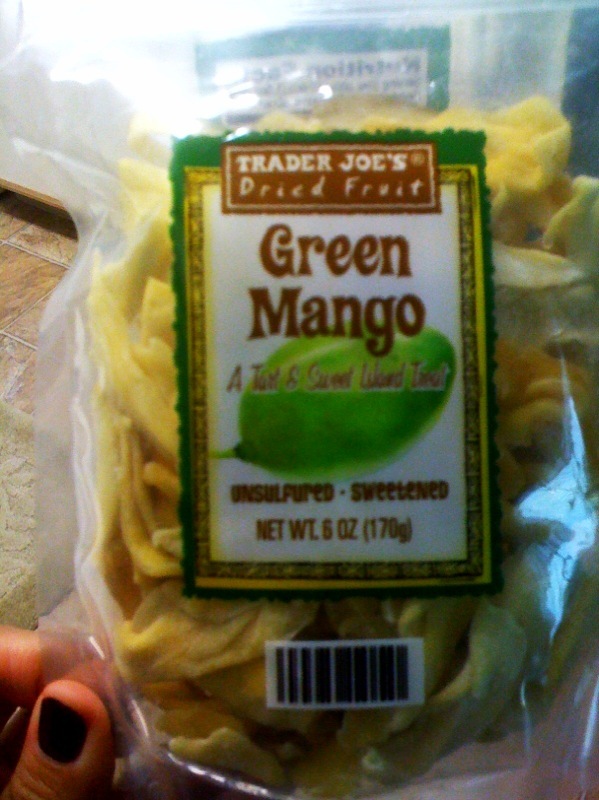 If you are lucky enough to live close to a Trader Joe’s, I recommend purchasing these amazing dried green mango fruits. 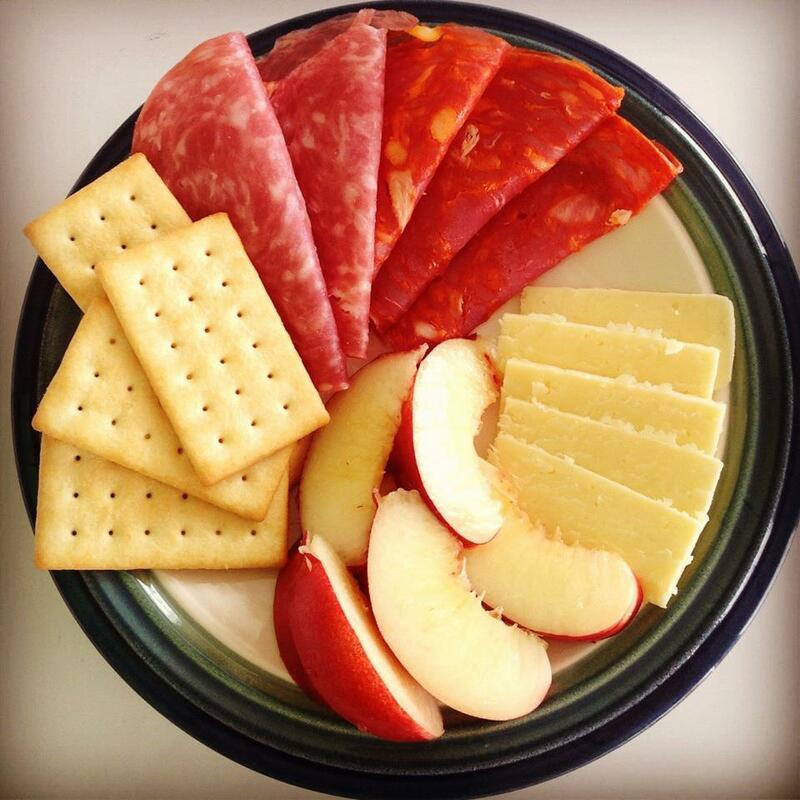 Great snack food and each package contains 4 servings at 150 calories each. The cashier at Trader Joe’s told my friends and I about these as she was scanning the 50 packages of regular mango dried fruit snacks they were purchasing. No joke, they live in Canada and were stocking up on that particular item. I ran over and picked up a few after she told us about them and opened one up at the register. I have to say I really liked it. In fact, I prefer this variety to the regular mango one that most people are familiar with. It is tart yet sweet and I think you get more in this package than the other kind plus it’s cheaper. I’m currently buying 2 at a time because I just don’t want to run out.